Home > Insights > Is It Time to Rebrand Your School? While your school’s origins may trace back 100 years, and the name, logo and colors hold special meaning, it might be time for your school to undergo a rebrand. A rebranding effort might be completely off the table for your stakeholders or senior management because they’re grounded in the past. But what do past, present and future students think of your school? Do they perceive it highly or poorly? Maybe there’s something holding them back from applying to your school or giving a higher donation annually. Take Beaver College in Pennsylvania, for example. After surveying prospective students, it discovered that 30 percent of them hadn’t applied because of the name. The university took these findings, embark on a rebranding mission and changed their name to a thriving and successful Arcadia University in 2001. Whether or not you realize it, your brand, the essence of your school, attracts student applicants, research funding and alumni donors. The stronger your brand and the more it resonates with your target audience, the more benefits your school can reap. If donations or applications have plateaued at your school, it might be time for a brand facelift or even a complete makeover. 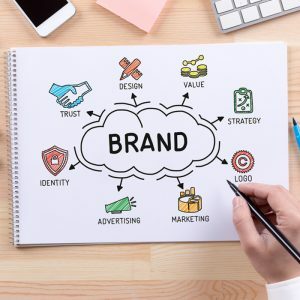 When the time comes, keep the following branding strategies in mind when you start your rediscovery. Just like before you write a paper or create a presentation, you’ll have to do a little digging. But unlike papers or presentations, for brand research, you want to take a look at competitors. Perform brand audits and look at prestigious Ivy League schools like Harvard University all the way to modern behemoths like the University of Phoenix. Analyze their website, social media channels and even sign up for their emails to see their logo and color treatments throughout their pieces. How does your school compare? Before you strip down your brand and start the rebranding process, you’ll want to talk to your primary audience: students. Interview them in person or use a survey software such as SurveyMonkey and ask them questions about your school. For example, ask them, how would describe your school? What are you trying to achieve during your enrollment? How will your degree help you in the future? How would you describe the campus culture? These surveys will reveal insights and misconceptions about your school. Maybe the stakeholders view the school as traditional, but in reality, all the students view it as nontraditional, which could lead to a disconnected brand. With the gathered interview data and insights, develop student personas and keep them top of mind—this is who you’re trying to persuade and embody at the end of the day. Using your newly developed student personas, you can begin to shape your brand’s identity including its logo, typeface, colors, imagery and tone of voice. Your student’s goals, challenges, voices and opinions should be a guiding hand as your start the process. Marion Technical College in Ocala, Florida, went through a similar rebranding process. 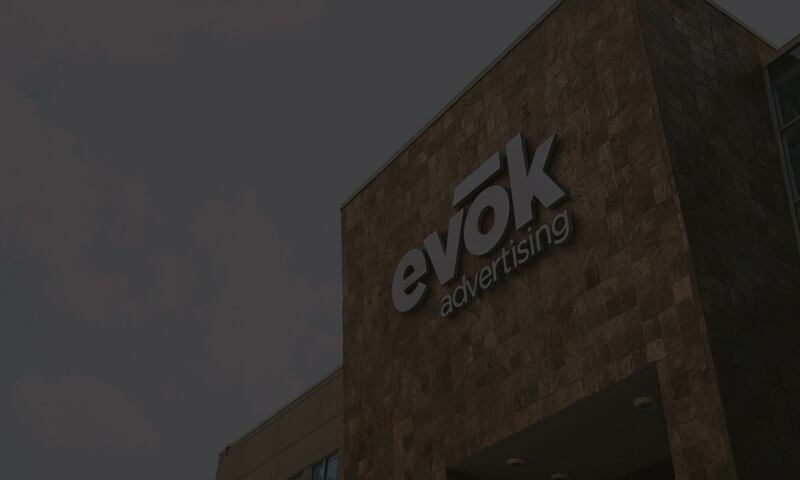 In 2016, CTAE officially became Marion Technical College and the team at evok advertising was there to make the transition a smooth and noteworthy one. On a mission to position Marion Technical College as a leader in nontraditional education by showcasing their ability to help graduates achieve their career and personal goals, the evok team developed a new logo and brand identity for the institution. Before you fully launch your new brand with a website redesign and media placements, simply ask your students what they think. Again, using in-person interviews or online surveys, present the new brand look and ask students, does this embody your school? Does this resonate with where you go to school? With rebranding, you might not get it right the first time—it takes time, will, dedication and revisions. If students responded negatively to your new initiative, you’ll have to head back to the drawing board. After you’ve solidified your new brand, you’ll need to create a brand standards guide. Without it, all your hard work will be wasted with inconsistent messaging across your traditional and digital platforms. Consistent messaging will build trust and credibility with past, present and future members. A brand standards guide ensures that anyone who touches or creates any advertising or marketing piece for your university will be on the same page (literally). Mandatories for a brand standards guide include logo usage, imagery, approved colors, typography and brand voice. You can also include mission, vision, brand history, brand positioning and any other items that apply specifically to your school. While recruitment events or email marketing campaigns may show direct results with email sign ups and number of clicks, it’s difficult to show the true effectiveness of branding initiatives and investments. You’ll need to take a look at the bigger numbers like student applications and enrollment, alumni donations and research funding. Don’t expect to see a shift in numbers overnight but rather a steady rise.